? Analyzing memory of redis is to find the keys(prefix) which used a lot of memory, export the analysis result into csv file. 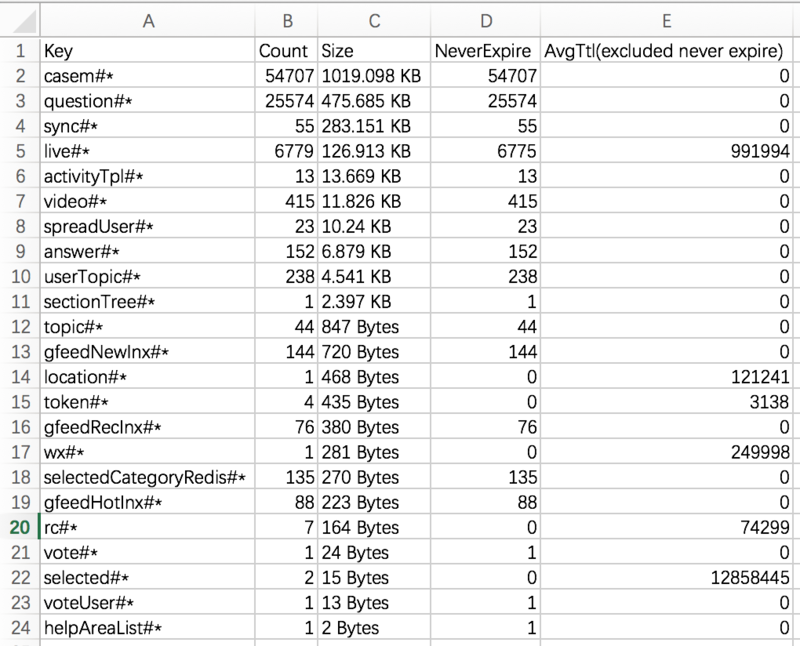  Analyzing memory of redis is to find the keys(prefix) which used a lot of memory, export the analysis result into csv file.